Stuart Power Ltd specialize in power generation. We are an authorized Dealer of Caterpillar (NI) Limited for FG Wilson branded products and stock a large range of new diesel generators to suit most applications. 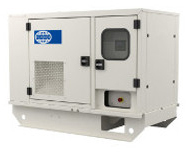 We also stock a large range of used diesel generators from manufacturers such as Caterpillar and SDMO. Based in Norfolk with depots in Grimsby and the West Midlands, we can offer generator hire, servicing and parts throughout the UK. New and used generators. Choose an option or Contact Us for assistance. Generator rental options. Choose an application or Contact Us for assistance. 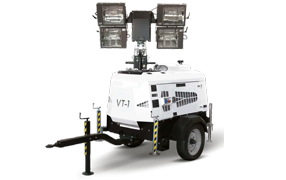 Modestly described by TowerLight as "the greatest innovation in mobile lighting", the mighty VT1 has been a fantastic success story. We also offer used VT1 towers as well as the brand new V20. Very quiet and burly making it ideal for use at outdoor events. At Stuart Power Ltd we maintain and service a comprehensive range of diesel generators either as stand alone systems or in combination with your uninterruptable power supply. A planned programme of generator maintenance should always be considered as an essential part of any standby or continuous power system. Stuart Power is a National Grid Framework Partner. 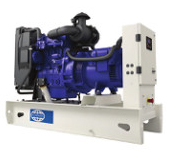 We Offer short term operating reserve generator sets. These sets can be Diesel, Gas or Bio Fuelled. We offer design and installation assisting with National Grid and DNO procedural requirement. We offer a large range of new and used stock, many used being ex Standby with only 100-500 hours. These are available at vast savings compared to new. STOR is a major investment therefore significant savings are possible with ex-standby set offering a much quicker return on capital investment. We also offer joint venture opportunities to site owners with DNO connection locations. As the largest FG Wilson Dealer for the UK the products we offer for UK applications will meet our laws and protect you from prosecution. We include CE Certification and bunded fuel tanks as required. We strive to be the most competitively priced in the UK. As you may know FG Wilson is a wholly owned by Caterpillar N.I. Limited Company so parallel products can be found in the open market in white and yellow finish. Buy your product from a UK dealer, buy wisely and enjoy the benefit of the Dealer Network of Trained Service Engineers. "Grey" products will not be dealer UK supported. True service has a cost, but we work efficiently and offer most models from stock or rapid delivery times if factory ordered. The GEK Orange Distribution Box offers flexible power distribution for a variety of applications. Stuart Power can integrate renewable energy for use with you usual generator set cutting down on greenhouse gas emissions and saving you money.